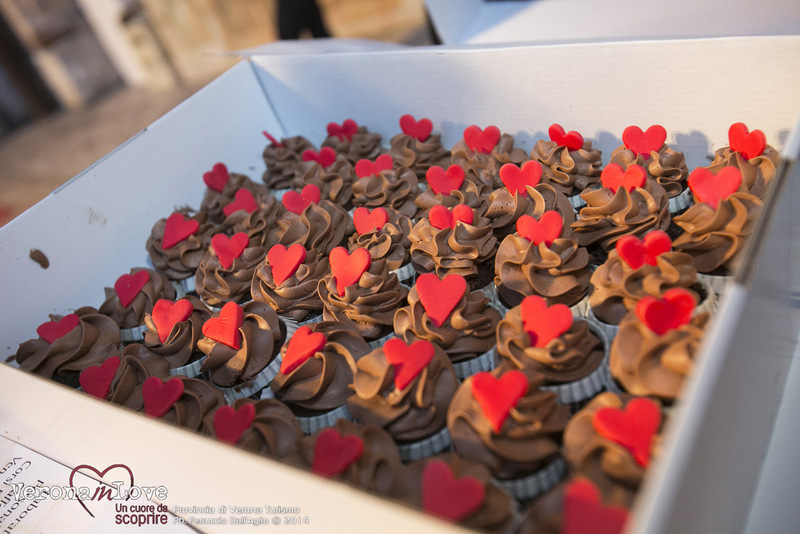 Valentine’s day (La Festa degli innamorati), the most romantic day of the year is fast approaching. And Verona, the city of love and those star-crossed lovers, Romeo and Juliet, is the most romantic place to be. 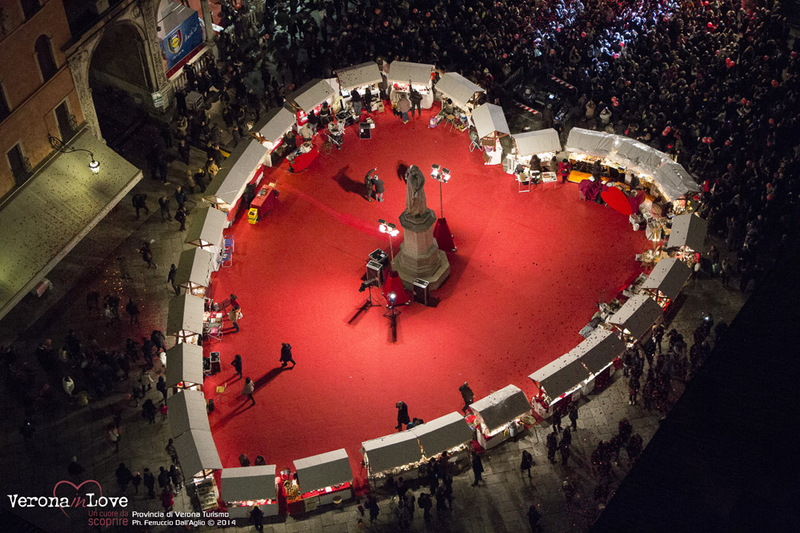 The whole city breathes love, with special events to mark the occasion. ‘Verona in love’ is a four day festival dedicated to lovers — those wanting to express their love, renew their love, or those with a secret love. Chocolates, love letters, Shakespeare and Romeo and Juliet feature prominently. The city streets are lit up with big hearts and there’s a huge red heart painted in the middle of Piazza dei Signori, one of the most beautiful squares in the city and my favourite. To get the best view of the heart, take a walk to the top of the Lamberti Tower (Torre dei Lamberti) which is 85 metres high. If the 238 steps are too much for you, there’s a lift. The tower provides 360 degree views of the city. Go at sunset if you’re taking your loved one -.the view is spectacular and romantic. If you have a sweet tooth, visit the Loggia Vecchia which is transformed into an elegant lounge, for chocolate tastings. There is also a showcase of Italian master chocolatiers. If chocolates aren’t you thing, why not send your secret love a Valentine’s day message. 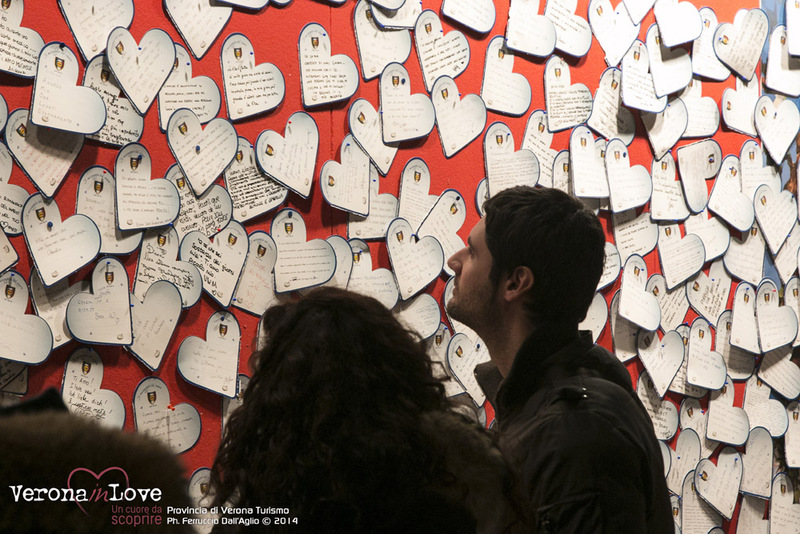 Write a message from the heart and pin it (alongside hundreds of other love notes) to the board in the square. Or do it the old fashioned way, with a love letter. There are thousands of people who write to Juliet each year. The Juliet Club (made famous by the movie Letters to Juliet) answers around 10,000 letters written to Juliet each year from people all around the world wanting advice about love or sharing their love stories. This year there is an award ceremony for the best love letter. Love is in the air over the entire city with ‘Romeo and Juliet’ tours, a treasure hunt for lovers, performances of Shakespeare’s Romeo and Juliet and other plays, music and food. It’s enough to melt the most cynical heart. Commercial interests play a part, but statistics show that on Valentine’s Day all over the world, lovers take the time to declare their love with cards, chocolates, flowers and dinners. (In Australia alone we spent over $14M on Valentine’s Day cards last year). What will you be doing on the most romantic day of the year? Share your stories!